ArizonaHotAirBalloons.com is the premier Phoenix Arizona balloon ride service, serving the Phoenix Metropolitan Area including Scottsdale, Tempe, Mesa, Chandler, Gilbert, Anthem, Cave Creek, Carefree, Apache Junction areas. Also, Sedona and the high country in the northern part of the state. Arizona Hot Air Balloons is your one stop destination for your memory of a lifetime! Please check out our buyer beware page for information about issues you might have trying to book your hot air balloon ride in AZ. We offer our hot air balloon ride in the beautiful Sonoran Desert. As you gently float off the face of mother earth, you will be in the arms of mother nature for your flight over the youngest and wettest desert in the world. We want to get you away from the rooftop and pool views. While you’re on your excursion with us, you will learn about the flowers and the fauna that lives in this harsh desert environment. If you want a sneak peek of what to expect check out our YouTube video! You will also witness the breathtaking unique panorama of the Bradshaw mountains. The Bradshaw Mountains are known for their rich gold production before Arizona was even a state. Many people think of New Mexico as the premiere place to take a balloon ride when indeed it is not. 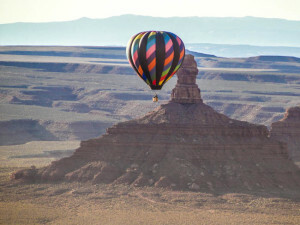 Arizona is the best and safest place to take a hot air balloon ride. We have consistent lush climate year round. This allows us to fly over 340 balloon rides a year. After you touchdown back into the loving arms of mother earth, you will be a part of history as the first manned flight was a balloon flight. Time to celebrate, we will pop a bottle of champagne and serve you some delicious catered hors d’oeuvres . We want you to feel like family here at Arizona Hot Air Balloons. You will be issued a post-flight balloon ride certificates of flight. These will be your official bragging rights to your friends, family and co-workers of the time you spent on your balloon ride with us and entered into our ballooning family. Our consistent lush weather, veteran pilots, and maintained equipment will assure a safe and enjoyable balloon ride. You can book your balloon ride reservation, or you can order a balloon ride gift certificate. Whatever you choose, you are going to enjoy our professional service! Sharing a memory of a lifetime you will never forget with us is the best way to see the Sonoran Desert. We have a hot air balloon ride package for everyone! You will always remember your hot air balloon ride experience with us. Book your flight today, ask our balloon ride staff for ideas for balloon ride proposals. We can also cater to your needs on special events, team builders, birthdays, graduation gift or anniversaries. We also are responsive to special requests; such as, sparkling cider, flower, or cakes. 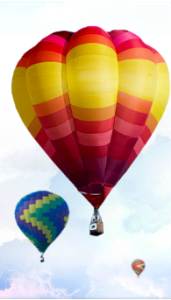 We customize our balloon ride around your needs for free! That’s why we urge you to call us, so we can do a little fact-finding, then our professionals will customize your balloon ride that fits your budget and your special balloon ride requests. For more information, we are standing by to set up your reservation of a lifetime. You can put your trust in us. We offer personal service and exceptional quality. We have been in business since 1975 for the years as one of the oldest companies in the area, and we are excited to share the memory of a lifetime with you and your family! We enjoy serving Glendale AZ 85301, Scottsdale AZ, Mesa AZ 85210, Chandler AZ 85225, Tempe AZ 85281, Phoenix AZ 85004, Paradise Valley AZ 85253, Fountain Hills AZ 85268, Gilbert AZ 85233, Peoria AZ 85345 and various other locations in Arizona for their Hot Air Balloon experience, just to name a few! Our unparalleled service, competitive pricing, and overall value is why our loyal customers won’t go anywhere else. We look forward to serving you! Remember… You have a friend in the ballooning business! Sightseeing with Arizona Hot Air Balloons is the greatest sky cruise experience in Arizona. Fill our contact form out and our staff will contact you! Call us for our current discounts!